Schools participation levels increased in 2018 which I was delighted with. The Ulster Finals day also took place in Cootehill Co. Cavan this year and was a huge success. This year saw a huge increase in the number of schools participating. In 2017 four schools took part but in 2018 out of the 11 Post Primary Schools in Cavan 8 participated which is an excellent result for me. I will continue to push this next year. The 2018 event will be taking place over 5 days starting in November. In 2017 20 schools participated and in 2018 this has increased with 24 schools registered. All coaches who have applied to work on the FAI Summer Soccer Schools must take part in training prior to the camps. I delivered the workshop on Monday 25th June in Cootehill where all coaches were in attendance, 10 males and 2 females. In total 594 children – 517 males and 77 female attended the FAI Summer Soccer Schools in Cavan. This took place in Cavan Astro park, 18 girl’s attended the camp and really enjoyed it. With the participation levels increasing all the time in the girl’s game my hope in 2019 is to introduce a 2nd soccer sisters camp in the County. This year this camp was extended by an extra day after the success of 2017. 10 children, 7 males and 3 females attended the camp and it was a great 2 days. Children with various disabilities were offered the opportunity to play football in a fun and safe environment. The feedback from the parents was again brilliant. 16 coaches all male attended this course in Ballyjamesduff AFC. - Kingscourt Harps FC – 16 of their club coaches all male attended and achieved the first FAI Coaching award. - Kingscourt Co. Cavan, delivered to students who are currently studying with the Youth Reach centre. There were 16 participants in total who can now support their local clubs with underage teams, 12 males and 4 females. The venue was Cavan Astro park where 16 coaches took part. There were 15 males and 1 female coach. 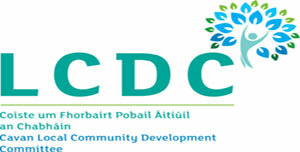 This workshop took place on the 15th June in Cootehill Co. Cavan. In order for a coach to progress to study for the FAI National D Licence they must complete 40 hours of Coach Education. I ensured that every coach in the Cavan area has had the opportunity to build 40 hours before the National D Licence in September. 16 coaches in total participated 14 males and 2 females. The two workshops took place on Saturday 26th May with 14 participants on each, 13 males and 1 female. 12 coaches took part, 11 males and 1 female. Mark Connors kindly delivered the workshop on the grounds of Cootehill Harps Co. Cavan. For the first time the FAI National D Licence was delivered in Cavan. It took place on Saturday 22nd September in Cootehill Harps. There were 21 coaches who participated 20 males and 1 female. I was delighted to offer this in Cavan for the very first time. Fun coaching sessions for teenagers involved in youth Summer Programme’s. There were 18 participants, 6 girls and 12 boys taking part for 2 hour sessions across 5 separate locations, Cavan Town, Belturbet, Bawnboy, Cootehill and Virginia. The participants experienced fun football activities in a safe and professional environment. Fully qualified FAI coaches lead the coaching and I am delighted with this programme. The soccer skills programme began on Wednesday 23rd May in Cavan Astro Park. In total there are 30 participants, 25 males and 5 females who attended for the 5 weeks. It is a fun environment for the participants to learn new skills and enjoy football. It is designed for adults who have learning disabilities and is a great way of keeping them active. This programme is designed for adults who suffer from mental health problems. It is a hugely popular programme and gives these individuals a chance to play football in a safe and fun environment. The 8 weeks were brilliant with 16 players taking part, 14 males and 2 females. This programme continues to be delivered every Monday night in Oriel Park Dundalk. It is designed for elite players who are looking to progress to International football. The coaching sessions delivered are professional and follow the FAI guidelines. At present we have 26 players in the centre. Ballyjamesduff AFC are the first club from Cavan to enter the FAI Club Mark process and it would be brilliant if they were able to achieve this. I have carried out the initial meeting and delivered the PDP and Parent/Coach education workshop to them. I will continue to support them over the next few months as they work towards the award. 12 males currently participating every Thursday evening in Cavan Astro Park. There are plans to expand in the future. Plans and discussions are ongoing for FAI Late Night League’s in 2019. In 2017 there was just 1 club in Cavan providing football for girls, this is now up to 5 clubs. Cavan Shamrocks, Cootehill Harps, Virginia FC, Ballyjamesduff AFC and Ballyhaise Celtic are all now actively involved in girl’s football. I have set up and ran 3 blitz days to date. All were a huge success. Participation levels were as follows, Blitz 1- 68 girls, Blitz 2 - 75 girls and Blitz 3 – 110 girls. I have delivered these at U-10 and U-12 with a view to progressing to U-11 and U-13 in 2019. The girls game is beginning to grow and I hope to maintain the interest by setting up a girl’s futsal event for the winter months.